MP3 Video Converter lets you convert any videos into audio files! MP3 Video Converter is a very useful and easy-to-use tool that lets you transform any type of video file into any sort of audio file, which you can listen to on any basic music and audio player. Any video that you have stored on your phone can be converted, whether you filmed it yourself or downloaded it from platforms like YouTube or Vimeo. There's a huge world out there full of videos for you to convert! The app supports all sorts of video formats like FLV, MP4 and many more. And the same goes for the audio formats, with a wide range of formats such as MP3, AAC, WAV, etc. Don't worry about incompatibility issues, this app is very practical and will read anything! The great part of it all is that you can edit the audio files’ meta data, giving it a title and adding the album and artist information, so you can have all the information right where you need it. MP3 Video Converter is an efficient and intuitive tool that makes audio files out of all the videos you like. Start converting now and build an amazing audio library! 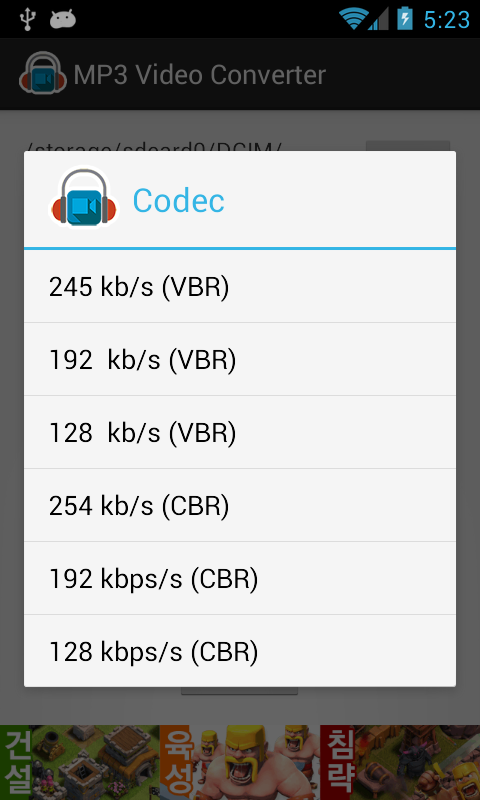  Is MP3 Video Converter yours? Claim it!